"I just want to keep a record for history. I want to record what life was like, what I experienced," he told The Associated Press in his studio outside Tokyo this week. In one telling scene, an elderly worker says: "This is like going to war." Only that microwaves from the 50’s were used as a stealth weapon as they still are today, only they’re obviously much, much more sophisticated. The 50’s was really a trial time where different countries were just using people who had no choice, prisoners, psychiatric patients, dissidents, and they would just beam people with this and see how long it takes this pulse frequency to have any effect. And if it does, we try a different type of group. There were 25 different categories of people including children and pregnant women. Twenty-five　different categories, and so from the 50’s, 60’s, 70’s, 80’s we’ve been developing microwave weapons right up to today and they are incredibly sophisticated today. So if any government says that microwaves have no effect on　you, the question is then why have you been spending billions upon billions of dollars with the military for the　last sixty years improving them? What I　cannot go along with is the fact that 25 categories of persons without their choice and in many cases without　their knowledge, are being experimented upon with these particular frequencies to cause all of this. That iswrong. Oh, without a doubt. And I can be even more specific. And when I speak to schools, you see,the problem is that microwaves are so easy to produce and, from the lists I got from when I was talking to spies,and things like this, the lists are available now. All you need to do is make a microwave transmitter (which is incredibly easy), and at the pulse frequency (which is even easier), you can make these weapons. So what I say to schools, to the students in schools, I say please be incredibly careful. Every time you touch keyboards, or an iPad or an iPod, every time you put a finger on any microwave device that transmits, up to 45 countries can be storing that. So if you are a young couple in love, and you’ve got the people in separate houses and they’re in their bedrooms and one is saying ‘can we do this’ and the reply ‘I’d love to’ and send me a picture of your chest,and theycarry on. Oh yes. Absolutely. Really this〔a mass targeting〕 is one of the ideas behind the Smart Meter where they put them on everybody’s homes. What they can do now? They can watch every single person in that house. They　can watch you go to bed. They can watch what you’re doing in bed. They can watch you on the toilet and in the　bath. They can hear every single word you’re saying. They have a machine which will measure your hormone　levels. They have a machine, provided they’re within a 150 feet, they can measure your brain activity and they can even tell what frame of mind you’re in. ……there could be to my knowledge between 40 to 45 countries blanketing people with microwaves, and all you need is a few vehicles, blanketing people with microwaves for specific purposes. We’ll prevent crime, and that was used for good. It didn’t take people very long, especially the military and other super stores to think, ‘well, hang on, we can use this for our own devices’. And after nine months, I got the figure from one of your calls, somebody took one of your super stores to court for beaming them. And they made a enomenal profit in just nine months,phenomenal profit. But because your Federal Communications Committee says that microwaves were safe, the case fell. Business leaders and government officials who favored nuclear power used media campaigns to educate citizens about its benefits and assure them that power plant operations were safe. This reactor comes from another world. The Yongbyon site has a concentration of so many nuclear facilities that if there was a fire in one building it could lead to a disaster worse than the Ukrainian one," said Seo Kyun Reul, a professor at the nucleonic department of Seoul National University. Yongbyon's 5 MWe reactor uses obsolete magnox technology that, combined with the reuse of old graphite moderators, greatly increases the risk of a fire, Seo said. Magnox technology uses graphite instead of water to moderate neutrons. It was held responsible for the 1957 accident in the UK when the Unit 1 reactor at Windscale (now Sellafield) caught fire and released radioactive contaminants into the surrounding area. Similarly, it was an explosion and subsequent fire at Chernobyl that helped release large quantities of radioactive particles into the atmosphere. "Graphite loves to burn. All the countries that used it faced a fire issue at some point," said Peter Hayes of the Royal Melbourne Institute of Technology. "The safety issue in Yongbyon is straightforward - the graphite moderator catches fire, and you have a perfect storm: a fire with powerful thermal plume carrying contents high into the sky." Pyongyang says its rocket tests are self-defence exercises and says the military drills by Washington and Seoul are invasion preparations. The Ductch soldiers walked around otherwise unmolested in small groups on patrol, The Japanese soldierd I only saw in vehcles. As a consequence, AWOL rates among "spaced out" US troops are as high as 15%, Hank reports. For many deserters, it is not cowardice or conscience that is causing them to absent themselves from duty. "They are feeling so depressed," Hank explains. "They don't feel good. So they leave." In addition to the weapons-grade material Japan is giving back, it maintains a stockpile of 9.3 tons of lesser-grade plutonium that could be easily weaponized by a country of Japan’s sophistication. That material also could present an attractive target for terrorists. Today in The Hague, the Netherlands, on the occasion of the third Nuclear Security Summit, Prime Minister Abe and President Obama pledged to remove and dispose all highly-enriched uranium (HEU) and separated plutonium from the Fast Critical Assembly (FCA) at the Japan Atomic Energy Agency (JAEA) in Japan. *　……this is an unprecedented radioactive catastrophe for the world’s oceans. is an unprecedented radioactive catastrophe for the world’s oceans. *　Pacific Ocean’s under incredible threat at the moment. Americans are now starting to reap that on their West Coast. People need to be sad, they need to be depressed. They need to get moving and close down all the reactors in America. he researchers are also collaborating with teams in Japan, to determine whether or not Fukushima is suffering from a similar microbial dead zone. *　Keep in mind, in the first week or so of the crisis, at least the first four or five days, the wind was blowing out to sea, and aside from these inland communities very close to the reactor, the first people that were hit by this plume were the U.S. military. *　Well, what they were—the readings that they were getting, these were coming from helicopters that were flying relief missions for the tsunami effort. They had landed on a Japanese command ship that was about 50 miles away from the plant, and the measurements that they were getting clearly alarmed them. These were readings much higher than they expected. Many of these symptoms have been associated in medical literature with exposure to microwaves and especially through low intensity or non thermal exposures. These have been reviewed by Dr. Robert Becker, twice nominated for the Nobel Prize, and specialist in EM effects. His report confirms that the symptoms mirror those he would expect to see, had Microwave weapons been deployed. 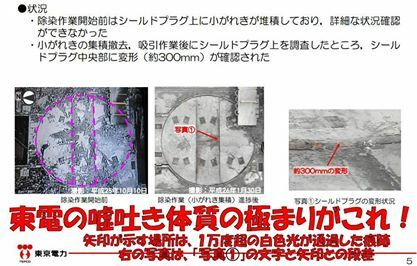 〔Kaoru〕Yoshida said there was no chance that workers at the Rokkasho plant would try to pilfer any plutonium. “We think we have a 100 percent guarantee that the people working here would not do that,” he said. But independent experts say mixing the two nuclear materials does little to reduce the plutonium oxide’s potential to become a bomb fuel. Dickman, the former NRC official, said the only difference between uranium-plutonium oxide and the pure metallic plutonium preferred by bomb-builders “is a chemist.” Extracting the plutonium from the mixture would not be difficult, he said. Terrorist Khalid Sheikh Mohammed, who was captured in May 2003, told interrogators that he had tried to recruit hijackers to seize an airliner at Tokyo’s Narita airport and crash it into the U.S. Embassy in the center of the crowded city. Because of restrictions on sharing classified information with Japan, Schieffer said, he wasn’t able to tell Japanese officials that Tokyo had been a target of Al Qaeda for years, until Mohammed’s confession became public in March 2007. “It upset the Japanese greatly when they found out about it,” he said. This Tues. morning of 3/18/2014, Maine passed the US's first ever cell phone warning label bill at the state level, urging cell phone customers to check their manuals for safer cell phone use. The bill brought by Rep. Andrea Boland (D) Maine, passed by a 21 to 14 majority vote in the senate this morning, despite incredible odds against industry opposition. The bill and has a 4 state trigger, meaning if 4 other states pass cell phone/warning label bills, Maine’s law automatically goes into effect. ……a new generation of "psychotronic" weapons using invisible beams across the entire electromagnetic spectrum to selectively alter moods, behavior and bodily processes. The "poppers, are capable of using a combo of ULF, VLF, UHF and EHF wavelengths in any combination at the same time, sometimes using one as a carrier wave for the others," Hank explains, in a process called superheterodyning. Hanks says, with equipment derived from US Navy undersea sonar and communications. The silent frequencies daily sweeping Fallujah and other trouble spots are the same Navy "freqs that drove whales nuts and made them go astray onto beaches." Hays calls VLF weapons "superior" because their directed energy beams do not lose their hurtful properties when traveling through air to tissue. A French weapon radiating at 7 hertz "made the people in range sick for hours." Paul Dickman, a former Energy Department official and chief of staff to the chairman of the Nuclear Regulatory Commission under President George W. Bush, says that when he asked a Tokyo Electric Power Co. official after 9/11 why the company hadn’t toughened security measures faster at the Kashiwazaki-Kariwa plant, the world’s largest nuclear power station, he was surprised by the reply. “We are in the process of making those changes, but we don’t want to do them all at once because we don’t want people to think that we have been operating them unsafely in the past,” the official said, according to Dickman. The incident at Fessenheim “has shone a spotlight on the vulnerability of our nuclear installations,” Greens party EELV said in a statement, which thanked Greenpeace for its effort. Two ministers of President Francois Hollande’s government are members of the EELV. ★は大沼　◎　英紙　ガーディアン（１４日付け）：　Nasa-funded study: industrial civilisation eaded for 'irreversible collapse'? Kevin Maher, the chief science and technology officer at the U.S. Embassy in Tokyo from 2001 to 2005, said that when he and White House homeland security adviser Frances Townsend met there in 2005 with a senior official at Japan’s Nuclear and Industrial Safety Agency, “We told him, ‘Your nuclear power plants are very good targets’ ” for terrorists and that security urgently needed to be tightened. Maher cannot recall the official’s name but distinctly recalls the reply: The official said, “There is no threat from terrorists because guns are illegal in Japan.” Maher said Townsend turned to him and asked: “Is he joking?” The official’s view, he said, was widely shared inside the Japanese government. “That’s what we were up against,” Maher said. In the worst-case scenario, experts fear, struggling workers could trigger a bigger spill or another radiation release. 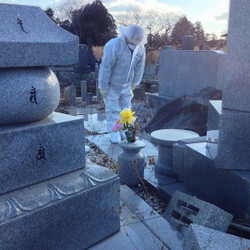 He said that his group, founded a year ago, is particularly concerned about reports that companies with links to Japanese organized crime — tattooed mobsters known as “yakuza” are providing services to the nuclear industry. Plume of airborne radioactive iodine arrival in the US correlates with increased rates of congenital hypothyroidism among the new born. Still, even without a bomb, Japan has achieved a level of nuclear deterrence without building a bomb and suffering sanctions. That may be a more impressive achievement than actually building a bomb. *　But according to a senior Japanese government official deeply involved in the country’s nuclear energy program, Japan has been able to build nuclear weapons ever since it launched a plutonium breeder reactor and a uranium enrichment plant 30 years ago. 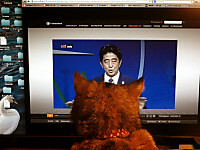 “Japan already has the technical capability, and has had it since the 1980s,” said the official. He said that once Japan had more than five to 10 kilograms of plutonium, the amount needed for a single weapon, it had “already gone over the threshold,” and had a nuclear deterrent. *　Technical ability doesn’t equate to a bomb, but experts suggest getting from raw plutonium to a nuclear weapon could take as little as six months after the political decision to go forward. A senior U.S. official familiar with Japanese nuclear strategy said the six-month figure for a country with Japan’s advanced nuclear engineering infrastructure was not out of the ballpark, and no expert gave an estimate of more than two years. *　Many experts now see statements by Japanese politicians about the potential military use of the nation’s nuclear stores as part of the “bomb in the basement” strategy, at least as much about celebrating Japan’s abilities and keeping its neighbors guessing as actually building weapons. It happened because the Japanese government chose to protect Tepco, its financial interest and the goals of the nuclear power industry. Is most of the cleanup complete? Are the people of Japan, especially the children, OK? 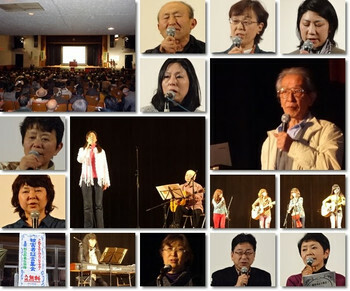 Are the Japanese evacuees returning home? And, are the oceans OK? Sadly the answers are no. Reporters Without Borders deplores the climate of censorship and self-censorship that continues to prevail in discussion of nuclear energy in Japan three years after the disaster at the Fukushima Daiichi nuclear power plant, 250 km north of Tokyo. “The complaint brought against Mari Takenouchi is yet another example of the way groups linked to the nuclear energy lobby are trying to gag opposing views,” said Benjamin Ismaïl, the head of the Reporters Without Borders Asia-Pacific desk. Just saw an incoherent discussion on cnn by Bill Nye the science guy who apparently knows zilcho about reactors and an idiot weatherman who said Hydrogen explosion? Pfft. I'm not buying it. •Trying to distance the U.S. agency from the Japanese crisis, an NRC manager told staff to hide from reporters the presence of Japanese engineers in the NRC's operations center in Maryland. 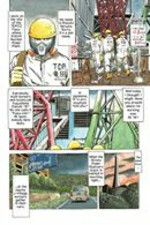 At the risk of losing his job if his identity is revealed, a senior TEPCO staffer, who has worked at the Fukushima plant for more than 20 years, says the situation at the reactor is not under control and no-one knows how to fix the problem. 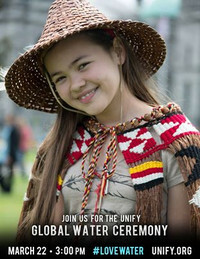 [...] The whistleblower says mistakes are made weekly, and contaminated water leaks into the Pacific Ocean every day. [...] The insider says the damaged reactors can never be decontaminated and that people should not be moved back into the no-go zone, a 20-kilometre exclusion area around Fukushima. *　A senior adviser to the operator of the wrecked Fukushima Daiichi nuclear power plant has told the firm that it may have no choice but to eventually dump hundreds of thousands of tonnes of contaminated water into the Pacific Ocean. *　"Storing massive amounts of water on-site is not sustainable. A controlled release is much safer than keeping the water on-site. *　Klein, too, voiced scepticism over the frozen wall solution, and suggested that the controlled release of treated water into the Pacific was preferable to storing huge quantities of it on site. To honor this vision, we won’t eat from dawn to dusk on March 11. “I am here today because I want to rid the planet of nuclear power as quickly as possible,” said Fumiko Ichikawa, one of the Tokyo demonstrators. "There are children who are very fearful. They ask before they eat anything, 'does this have radiation in it?' and we have to tell them it's okay to eat," said Mitsuhiro Hiraguri, director of the Emporium Kindergarten in Koriyama, some 55 km (35 miles) west of the Fukushima nuclear plant. "But some really, really want to play outside. They say they want to play in the sandbox and make mud pies. We have to tell them no, I'm sorry. Play in the sandbox inside instead." 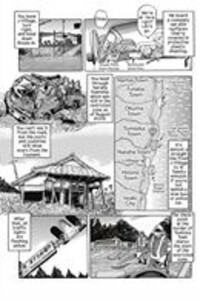 The anxiety felt by parents in Fukushima stems from a widespread lack of trust in the local medical authorities, which have come under government pressure not to cause alarm among residents. Walking around a ghost town supermarket, untouched for years, is something I will never forget. Rats are now in charge. They leave their droppings everywhere adding to the unique sickly-sweet stench. The clean up continues; the Japanese government and Tepco announce dates for the completion, but no one really believes them…… this is new territory. *　Well, think of someone hanging at the edge of a building about to fall off, but hanging on by its fingernails — that’s the Fukushima disaster right now. *　People in Tokyo sometimes had to go with a Geiger counter when they go vegetable shopping. The quantities of U and 239+240Pu, emitted to the atmosphere were estimated as 2.3×10^9 Bq (150 g) and 3.9×10^6 Bq (580 mg), respectively. ……fairly good agreements were found, indicating that transuranic nuclides, probably in the forms of fine particles, were released into the environment without their large fractionations. now, and just getting nowhere with them, and the plan tomorrow is going to try to embed us in Tokyo Electric Power. *　Mr. Abe, however, seems oblivious to this reality and to the interests of the United States, which is committed to defend Japan by treaty obligation and does not want to be dragged into a conflict between China and Japan. *　He and other nationalists still claim that the Nanjing massacre by Japanese troops in 1937 never happened. 〔フクイチ核惨事〕 閉鎖された東北自動車道を、米国人（無制限）脱出用に開放！　／　東京－仙台間　米国人用の高速道路・列車・脱出ルート確保を、米ＮＲＣ・オペレーションセンターのＰＭＴ（保護管理チーム？）が文書で起草　／　情報公開されたＮＲＣ内部文書で判明　★ ２０１１年３月１８日、米国人らは仙台から成田空港向け、閉鎖されていていた東北道をバスで脱出したのは、ＮＲＣによる自国民の安全確保対策があったから、と判明! The PMT has drafted a paragraph to be approved and provided to DOS to clear the freeway and train routes from Tokyo to Sendai for unlimited US citizen travel. Transitory doses appear to be in the order of 40-100 urem per trip, much lower that a transcontinental US flight (2-5mrem). And the last we heard,iodine was planned to be distributed. We're getting this, actually, from Reuters, who's reporting that -- the quote is, "Japanese authorities have told the IAEA that they are making preparations to distribute iodine." The Japanese are very good at emergency planning so, whatever it is that they do, they I'm sure they have this, they have thought about this. They do practice emergency preparedness exercises, much like we do in this country. So I think their programs are pretty good. ……you know, our concern was, is that corium finally went through the vessel and they had a steam explosion. It seemed like it was still――they think it was a hydrogen explosion. explosion, but it seems that it might have been a steam explosion. it didn't seem, it didn't seem plausible that they would generate that much hydrogen in such a short time. Maybe it's hydrogen, but again, this is based on a video that we're seeing. ◎　ＺＤＦのハーノ記者のツイッター　：　"Die Fukushima Lüge" Everything under Control?